Orange, CA — Westinghouse Digital, one of the leading LCD TV manufacturers in the U.S., announced a stylish new lineup of advanced LED and CCFL HDTVs that will bring the latest high-end technology, styling and features to consumers at an extremely affordable price. The new LED and LCD models combine home-theater picture quality, industry-leading energy efficiency and sleek ultra-slim design to set new standards in HDTV value. Westinghouse Digital will be exhibiting their entire product line by appointment at the 2011 International Consumer Electronics Show from January 6th – 8th at the Las Vegas Hilton. Westinghouse’s brand new LED lineup consists of seven models, combining top of the line picture quality, sleek design, and industry-leading energy efficiency to set a new benchmark in LED HDTV value. The new LED models all feature an edge-lit LED system that provides a remarkably vivid picture, thanks to high dynamic contrast ratios. Westinghouse Digital’s new LED lineup combines the stylings of the highest-end HDTVs with the dramatic performance benefits of advanced LED picture technology, all at values that are comparable to conventional LCD TV price points. Continuing with Westinghouse Digital’s tradition of industry-leading energy efficiency for its TVs, the new LED lineup is also extremely eco-friendly earning the Energy Star for meeting Federal energy efficiency standards. Even the packaging is eco-efficient, with the product box made of recycled and recyclable materials, as well as soy based inks. Westinghouse’s new lineup of advanced LED HDTVs is flagshipped by the 60” LD-6080Z, a spectacular big-screen sure to fulfill any consumer’s home theater needs. The set features a full HD 1080p resolution, outstanding 4 ms response time, 120 Hz refresh rate, and judder removal for flicker-free performance even with fast moving sports and action films. Other noteworthy features include selectable color temperatures, 3D noise reduction and an inverse 3:2 pulldown feature for optimized movie playback, as well as comprehensive connectivity options, including 4 HDMI ports. The generously sized 46″ LD-4655VX features full HD 1080p resolution, 120 Hz refresh rate and a super fast 6.5 ms response time resulting in theater-worthy video that can keep up with all of today’s media. Audio chip and tuning by Yamaha creates a rich audio experience by equalizing sound from the thin flat panel cabinet, which dramatically improves low frequency response, enhances dialogue clarity and provides 3D surround sound. Options like 3D noise reduction, inverse 3:2 pulldown for film-based content and three-way selectable color temperature spearhead a rich feature set that belies this model’s budget-friendly pricing. The same outstanding performance and feature set can also be found in the 46” connected WC-4605, featuring apps like Netflix, Vudu and more. The 42” LD-4280 and 40” LD-4080 are ideal for the consumer looking to achieve a home theater experience in any room of the house. Both sets are only about 1.25 inches thick at the TV’s visible edges and feature an edge-lit LED system that provides a remarkably vivid picture, thanks to a high contrast ratio and a 120Hz refresh rate. This outstanding gradient light ability results in extremely detailed color representation for a stunning picture. The LD-4280 and LD-4080 feature a 1920 x 1080 resolution, 16×9 aspect ratio and both have full connectivity with HDMI and legacy inputs. The 26” LD-2680 is perfect for more compact applications. This ultimate all-in-one, space-saving, HD television/gaming/computer display features 1920 x 1080 resolution, 16×9 aspect ratio and has 2 HDMI, 1 Component and 1 VGA input. 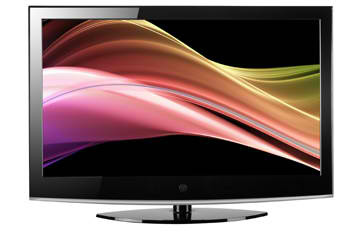 The 32” LD-3260 features a 720p 16×9 aspect ratio and has 2 HDMI, 1 Composite and 1 VGA/Component input. The three new Westinghouse CCFL-based LCD HDTVs all feature full 1080p high-definition resolution and are geared for a home theater experience that’s perfectly scaled to its viewing area. The new 60” VR-6025Z and 55” VR-5585DFZ Westinghouse LCD HDTVs are both powerhouses that feature 120Hz refresh rates with MEMC (motion estimation/motion compression) to ensure smooth images by reducing judder and blur. Their impressive screen sizes can fill even the largest rooms with bright, crisp and beautifully detailed images that can make the most of today’s high-definition sources. The compact 40″ VR-4085DF is completely at home in small to mid-sized environments, including bedrooms and playrooms. All three models feature ample connectivity for both new and legacy A/V components, including 3 HDMI inputs, two component video inputs and analog A/V connections. Both also feature a host of picture enhancements sure to please even finicky viewers, including 3D noise reduction, inverse 3:2 pull down for flicker-free movies, three-way selectable color temperature and super quick response times for fast-moving sports. The Westinghouse looks really amazing. I didn’t know that they were one of the leading LCD TV manufacturers in the U.S. I really need a new HDTV and I was told from one of my DISH co-workers to check out the Westinghouse. That is why I’m here looking at reviews. So far there has been nothing but great reviews on the Westinghouse. There is nothing but reviews saying they have great picture and audio. It will go perfect with my HD programming that I’m going to get from DISH free. I can’t wait to get one. I hope I can find a great deal.